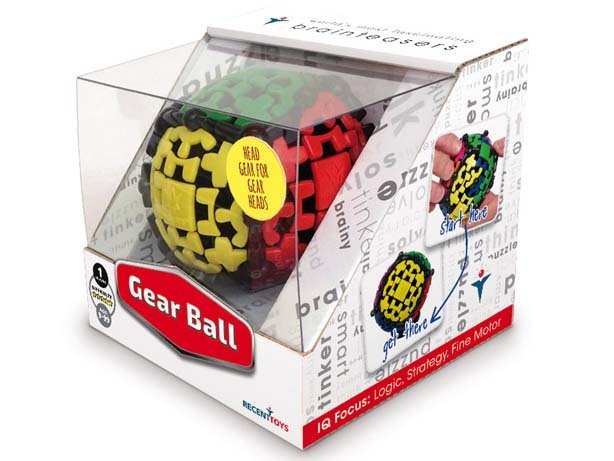 For this game you need turn a lot of cogs: in the first place in your head, then in this colourful puzzle ball. 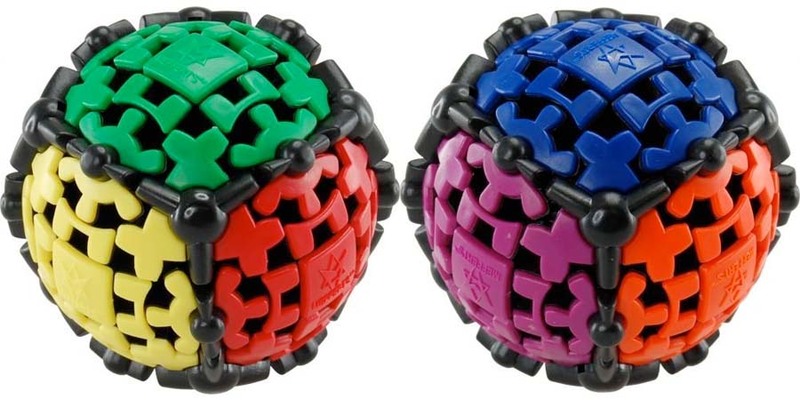 It’s basically the same as the Rubik’s cube. 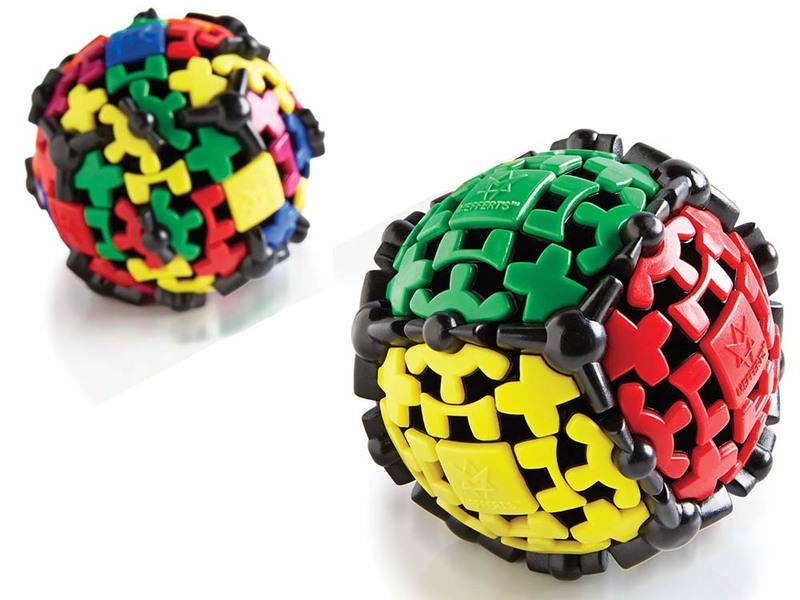 You need to keep on puzzling until you only all the faces are a uniform colour. Thanks to this ingenious design the cogwheels will always rotate smoothly and quickly. 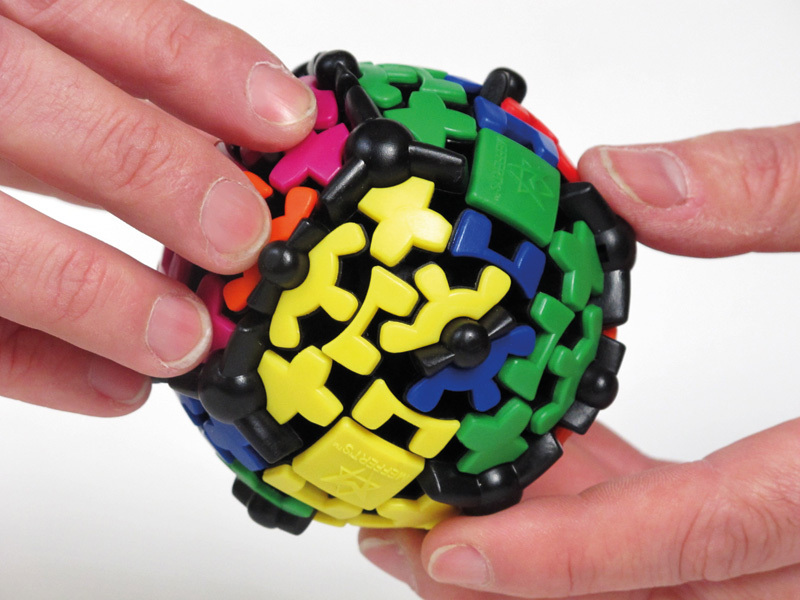 A spherical 3D puzzle with cogwheels that rotate on their axis.